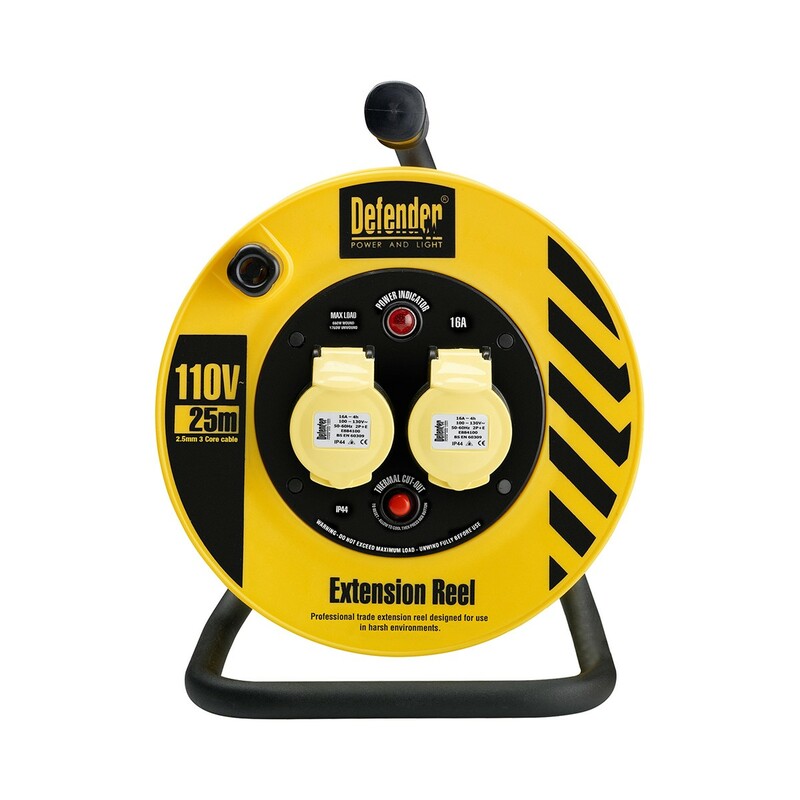 Defender’s best selling 110V reel, this light industrial 16A 2 way reel has a strong steel frame providing a secure base. The neon indicator enables users to easily see from a distance when the power is switched on. Also includes a thermal cut out to prevent overheating.